US, 2009, 162 minutes, Colour. Sam Worthington, Zoe Saldana, Sigourney Weaver, Stephen Lang, Michelle Rodriguez, Giovanni Ribisi, Joel David Moore, C.C.H. Pounder, Wes Studi. Despite the early reviews and positive word of mouth for Avatar, it took me a long while to be drawn into the film and its story and feelings (which doesn't matter so much since it goes for 162 minutes). But then, I succumbed to it. One of the reasons for the delay, I would think, was that I was expecting it to be a fantasy epic but at first it was science, science fiction and mineral exploitation on the planet Pandora, with a hero who was singularly unsympathetic, even uninteresting, with a lot of dialogue of the 'How's it goin'?' lack of variety, rather mundane, even banal. But, it does move into epic fantasy mode (though the dialogue does not improve all that much) and the paraplegic, ex-marine hero gradually moves into epic saviour hero mode, not least because he is transformed into avatar life (with the use of his legs and some mighty strength). Avatar is the technical name given to creatures who are mixes of the DNA of a human subject with the DNA of the Pandoran inhabitants which transforms the character into a rather giant figure, blue, science fantasy features, including a tale. That being said, it is the imagination and cinematic flair bringing that imagination on to the screen with special effects that keep us watching (at least mentally gawping, if not physically, in amazement) at the space, the beauty, the movement, the colours, the wonderful swooping beauty of riding creatures through the sky well beyond Quidditch and, a favourite, the floating mountains. When we move away from the science and engineering (not entirely, of course, because the 'sky people', humans who have ravaged the earth and are on a futuristic conquistadoring expedition to Pandora with gigantic bulldozers and robots to exploit the resources, have to shape up for a final explosions and flame-throwing Apocalypse Now attack and a warrior confrontation), we enter the nature world of the Pandoran natives (a kind of beautiful pantheistic, divine energy world with a giant sacred tree and a vegetal network of energy), we are reminded of Eden and innocence. It weaves its spell on our hero, Jake Sully, who enters into the world of natives and avatars, spying at first and reporting to military authorities, but then finding a new, simpler, harmonious nature world and, needless to say, falling in love. The military leader (a very strong Stephen Lang in a familiar but effective performance), refers to the natives as 'hostiles' and, visually, they do remind us of cowboys and Indian films – perhaps the film is like a cowboys and Indians saga in a futuristic Jurassic Park, full of marvellous special effect creatures. Australian Sam Worthington is Jake Sully (Worthington earlier in the year proving himself a more impressive presence than Christian Bale in Terminator Salvation). The princess of the tribe is Zoe Saldana. The scientist (who also transforms into an avatar) is Sigourney Weaver whose name is the feminine Grace (compared with her blunt name of Ripley in the Aliens series, the second of which, Aliens, was directed by James Cameron). Giovanni Ribisi (looking too young) has all the villainous dialogue about exploitation, scepticism at any suggestion of mysticism or spirituality and vicious, without conscience, during the final battle. While the film has a clear 'green' message, it also is strong in its reminder of the destructive realities of colonial and imperialist attitudes. In fact, the film seems highly critical of US foreign and business policy (echoes of Vietnam, Iraq, Afghanistan) and its huge insensitivity to people who are different, to their cultures and their way of life which is judged as vastly inferior. So, the epic quality is there. The fantasy builds on the traditions of the Post Star Wars era – and, technically, and in 3D – so much of the images, movement and effects are cinema wonders to behold. 1.The work of James Cameron? Imagination, inventiveness? The acclaim for the film? 2.An interesting futuristic story? The epic quality? The fantasy? The combination of realism and fantasy? 3.The technical achievement: the sets, the planet of Pandora, the laboratory, the military hardware, the planet itself, the forests and the beauty, the floating mountains, the action sequences? Battles? 4.The title, the focus on the Avatars, the human DNA, the DNA from the humanoids? Science and fantasy? The companies and their greed, exploration and exploitation? The creating of the Avatars? The mixture of human and humanoid? The teaching, learning English, learning the culture of the humanoids? The possibility for spying? Seeing both worlds, the challenge to Jake Sully? Which was the better world? 5.The film as a message film, a green world, nature, the immense tree of life (and its being uprooted), the energy networks? The destruction? The global corporations, brutality, lack of conscience, colonial attitudes, arrogance, the inhabitants as inferiors, no scruple in destroying them? The military, occupation? Superiority of weapons? Using them? The film as anti-American policy? Echoes of the Vietnam War, Iraq, Afghanistan? The echoes of the 19th century wars between the whites and the Indians? 6.The introduction to Jake Sully, the ex-marine, the loss of his legs, his brother’s death? The experiments, going to Pandora, interaction with the authorities? The decision to use him as an Avatar? The science for his being a twin for his dead brother? Grace, the experiments, her anger, using Jake? The military, Colonel Quaritch and his briefing Jake? Wanting the information? Reporting back? 7.The setting, the laboratories, the science, the creation of the Avatars, the water tanks, their size, appearance? Grace becoming an Avatar, teaching the humanoids, the contrast with the military and the personnel? Norman and the other members of the Avatar team? 8.Jake as an Avatar, his abruptness, Grace controlling him, the experiments, the transformation? His going to Pandora, seeing the planet, gazing at it, the experience of nature, the creatures and the beasts, his aggressive attitude, trapped by the beasts, confronting them, the chase and the pursuit, the animals and his fear? The forest, lost? Jake and his Avatar and waking in two different worlds? Regaining his strength, his legs and his agility as an Avatar? 9.His seeing Neytiri? 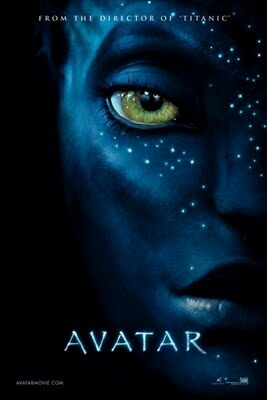 The pursuit and the confrontation, Neytiri in herself, her father as the chief, her mother as the priestess? The religious aspects of this world? Nature religion, pantheism? The goddess? Neytiri saving Jake? Taking him to the community? Meeting her father, mother, the warrior destined to be her husband? The discussions, his presentation of himself, Jake being accepted? 10.Moving in and out of the different states? Grace and her life as an Avatar? Jake reporting back to Colonel Quaritch? His video diary and the cumulative effect of the information? Quaritch and his style, the gung-ho military man, his demands? His relationship with Parker Selfridge and the discussions about the exploitation of the resources? 11.Jake and his relating to Neytiri, love for her, the marriage in the eyes of the god? The reactions of the tribe, of the humans? Jake and his training, his ability to tame the flying creature? The means of connection, the rides? Flying high? The enormous flying creature and Jake able to tame it, ride it? The exhilaration of the climbing sequences, running, flying? 12.The flying mountains, their beauty, the experience of the Avatar in such a world? 13.Selfridge, the business partners, the world of business, down-to-earth, his way of talking, his ambitions, greed? No considerations beyond business? The tree and his wanting it to be uprooted? The plans for the migration of the humanoids for the resources? The decision to attack? 14.Grace and her character, her experience, in charge, yet as an Avatar able to communicate, share feelings? 15.Jake and the information, giving it to Quaritch? His changing attitude, discovering the attack, his identifying with the tribe? Supporting them? Neytiri and her being upset, her disappearing? Jake moving in and out of the different stages, his change? 16.The time limits for the attack, the tribe and their reaction, their limited weapons? Jake having to become a hero and leader? 17.The viciousness of the military attack, the Apocalypse Now style of weapons, firepower, explosions and burning? Quaritch and his officers, his strategies, the attack, the flames, the tree as the target? The aggression? 18.The inhabitants of Pandora and their reaction, Quaritch referring to them as hostiles (and the echoes of Americans and the 19th century Indians)? The warriors, their arrows, the attempts at jungle warfare and resistance? 19.The fight, Quaritch? The importance of Trudy Chacon, as a pilot, taking Jake to the flying mountains, her being part of the attack, her change of heart, taking her vehicle, helping the resistance? The animals, the beasts and their role in the attack on the humans? Jake and his going throughout the different tribes and getting them to unite, their riding together? The communities gathered together in prayer and ritual? 20.Jake and his wounds, moving in and out of his human and Avatar states, reviving? The escape with Trudy? Grace and the flight, her being wounded? The prayer, her spirit joining the goddess, becoming part of nature? 21.The build-up to the final confrontation, Jake and his one-on-one with Quaritch? Quaritch in the robot machine? His death? Neytiri and her killing him? 22.Jake and Neytiri, the prayer, the people’s support, their future together? 23.Themes of nature, echoes of the Garden of Eden, hope? The scientific future? The drawing on the various film fantasies and epics? The cowboys and Indians story in a futuristic Jurassic Park?